They say defense wins championships, and even though it's not often the case in fantasy, a solid defensive outing could be the difference between heartbreak and glory. Every sack, every turnover, and every defensive touchdown gets you closer to the prize every fantasy owner seeks: a Fantasy title. With that in mind, you may find yourself looking. Maybe your main defense has an awful matchup this week. Maybe you've been streaming defenses all year. Whatever the case, here are 5 defenses you should be looking to start in Week 16. Minnesota was coming off one of the best seasons (2016) in recent memory for a defense, but hasn't quite lived up to their hype this year. Now don't get me wrong they are still a solid defense, but their lack of turnovers and defensive touchdowns have hurt their fantasy points. In Week 15 against the Bengals, the Vikings' defense played their best game of the year, allowing 7 points and scoring their first TD of the season. Minnesota travels to Green Bay in Week 16 and need a win to secure home field advantage throughout the playoffs. The Packers just shut down Aaron Rodgers for the season and most likely will be without Brett Hundley's #1 target: Davante Adams. This game has the makings of a beat down curtesy of the Vikings' defense. Chicago has had a pretty quiet fantasy season in regards to their defense, but they are currently ranked ahead of Minnesota, Seattle, Carolina, and Pittsburgh defenses in total fantasy points. They seem to play much better at home, which is where they will be in Week 16 when the Cleveland Browns come to town. It's not necessarily a cake matchup for the Bears, but they should be able to get to QB DeShone Kizer often and force a few turnovers. Any points allowed should be made up for by sacks and interceptions. We are sticking with the NFC North it seems for Week 16, and the Lions are another decent streaming option. 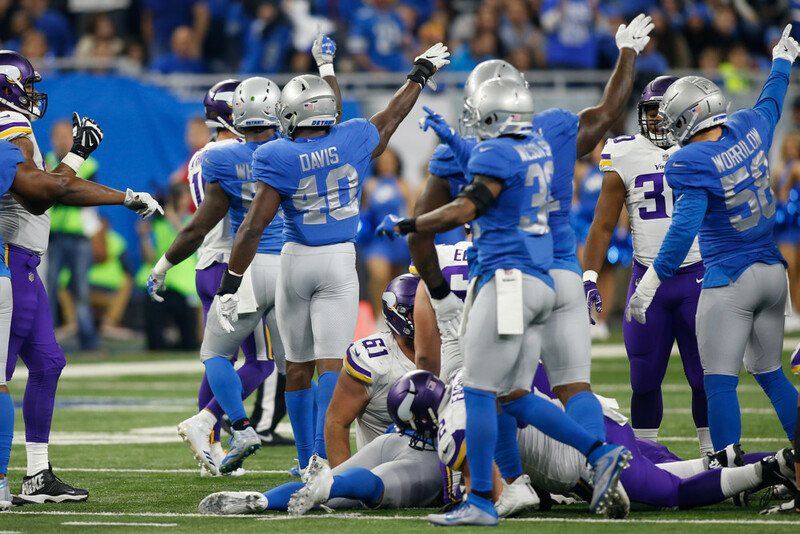 The Lions' defense started hot this year, and seemed to have solid weeks followed by some stinkers (see Week 13's 38 point trouncing by Baltimore). The Lions are back to their winning ways the past two weeks, forcing 8 turnovers over that time. They will face Cincinnati in Week 16. Cincinnati is falling apart on offense, only scoring 2 touchdowns total the past two weeks. Andy Dalton has been awful, and AJ McCarron is nothing to be scared of if the Bengals decide to go that route. Detroit should have an easy time with a team who has seemingly given up on this season. Ok this one might seem a bit strange, especially since the Washington defense has been rather awful this season. But hear me out. Denver will be starting either Brock Osweiler or Paxton Lynch. That in and of itself should get your attention. Shutdown corner Josh Norman should take away Demaryius Thomas, and Emmanuel Sanders is day to day with an ankle bruise. In Week 15 against the Cardinals, the Redskins' defense played very well, sacking the QB 5 times and forcing 2 turnovers. The Broncos don't have a very good offensive line, so Washington should have an easy time getting to the QB. The Rams' defense has scored 5 touchdowns this year, and overall have been one of the best fantasy defenses in 2017. They sacked Russell Wilson 7 times last week. Seven times! And they got 7 sacks two weeks earlier in Arizona. This week the Rams travel to Tennessee to take on Marcus Mariota and the Titans. The Titans' offense is nothing special, so the Rams shouldn't have a difficult time shutting it down. Even if they allow points, they should get a few sacks and a turnover or two to make up for it.